"Updated, over 2150 sqft, and fully finished, welcome to this nice kept single family home in Hawkwood. It features newer roof shingles, windows, furnace, hot water, and appliances. It has 4 bedrooms up, total 3.5 bathrooms, large master bedroom, ensuite with separated shower and bath tub, retreat with bay window, foyer with high ceiling, wood spindle railing on the stairs, main floor with separated living room and family room, formal dining room, spacious kitchen and nook, big and bright family room with fire place, built in cabinet, and hardwood floor, nice and sunny sun room, fully finished basement with 2 extra bedrooms, full bathroom, wet bar, and large recreation room. It has been fully fenced and nicely landscaped. It closed to playground, public transit, school, and shopping. 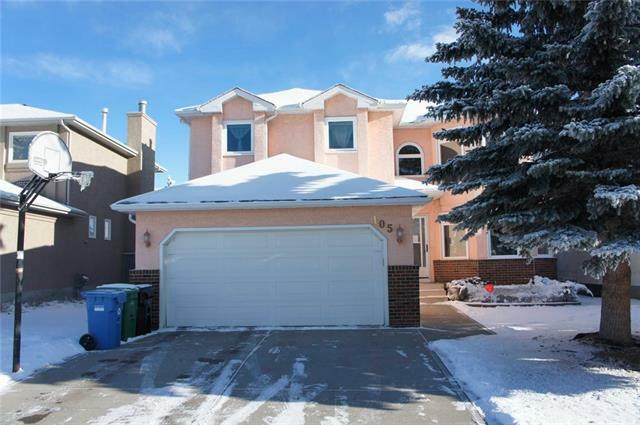 ** 105 Hawktree Circle NW **"